So what does make Rudolph’s nose glow red? It’s a debate that has been raging for years. Scientists previously thought Rudolph’s red nose was due to an excess of blood in the vessels supplying the reindeer’s nasal passages, caused by the exertion of pulling a heavy load – Santa’s sleigh and his sacks of gifts. But researchers at the University of Brighton have come up with another explanation: Bioluminescence or the production of light as a result of a chemical reaction, similar to that produced by fireflies and some deep sea organisms that use light traps to catch prey. The study may appear frivolous but it has proved a valuable exercise for the University’s biology students. And the findings have been deemed worthy enough to be published today in DEINSEA, an online journal of the Natural History Museum in Rotterdam. The research was led by Dr Angelo Pernetta, a conservation ecologist and Deputy Head of the School of Pharmacy and Biomolecular Sciences. 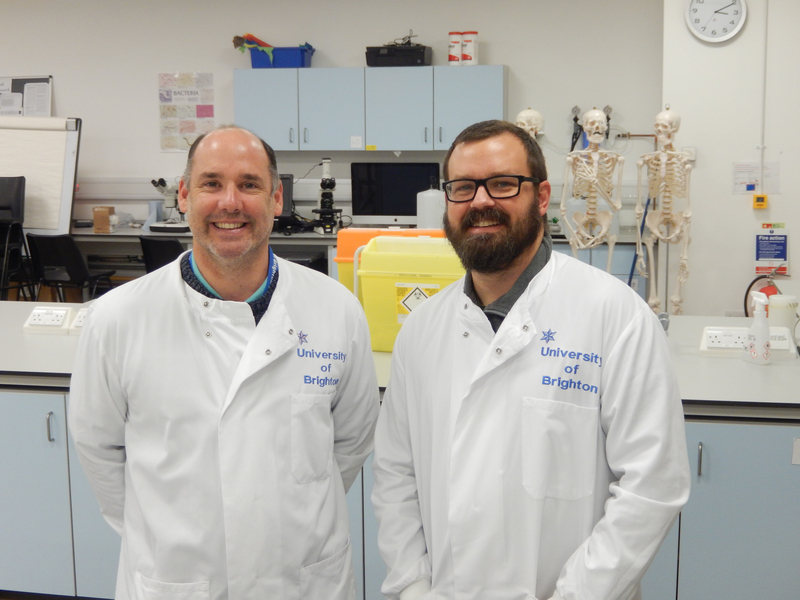 He said: “My colleague Dr Neil Crooks and I wrote the paper with undergraduate students as a consequence of a journal club we run for the Biology degree course at our Hastings campus. The previous paper, published in DEINSEA in 2012, identified the cause of Rudolph’s nose glow as “nasal mucosa induced by the exertion of pulling a heavy load: excessive stresses endured whilst flying with San­ta and the sleigh in tow resulted in cerebral and bodily hyperthermia, overworking the nasal cooling system, causing the nose to glow”. Their conclusion was: “The fact that Rudolph’s nose glows red has previously been noted as being advantageous in foggy conditions, since it is the most visible colour in fog. A 1939 paper noted that Rudolph’s glowing nose aided Santa Claus in his Christmas Eve prepa­rations when a thick fog descended. “This would suggest that Rudolph was specifically chosen because of this adaptive trait and would suggest that, far from being caused by excessive strain from pulling Santa Claus and the sleigh, his red nose was in fact caused by bioluminescence to aid in navigation. This entry was posted in Biological sciences, Biosciences, Life at Brighton, News, Research, Uncategorized.